Somerset Collaborate’s most recent event took place last week at Haynes International Motor Museum. The gathering was their biggest so far, with 30 leaders attending from across primary, secondary and community care. 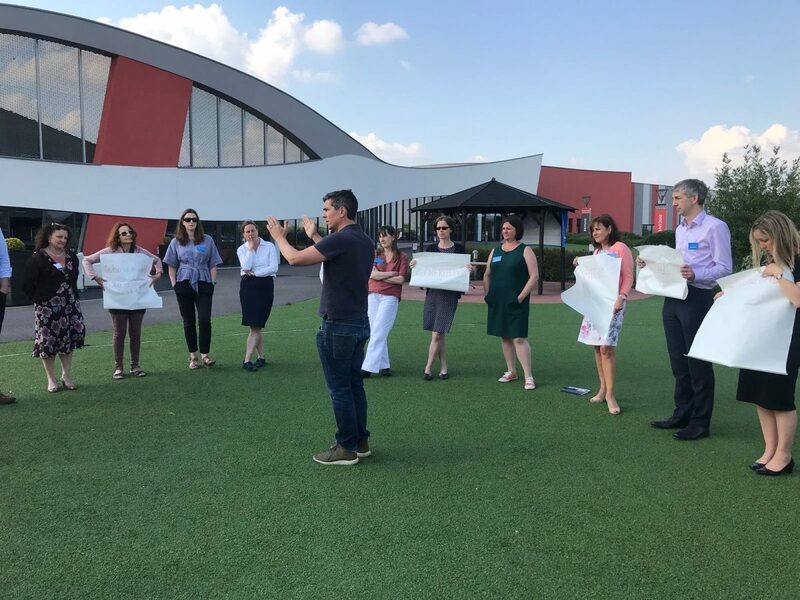 The event gave attendees the time and space to think about leadership – and their role in the wider health and social care system – outside the normal constraints of their day-to-day work. With help from improvised theatre company The Maydays, the afternoon inspired new ideas to improve care across the county. The improvisation session was followed by a masterclass in generative listening. Walking and talking in the sunshine gave people the chance to pause and reflect on where they want to put their energy going forward. Small changes are already taking place as a result of the connections formed through Somerset Collaborate. Michael Lennox is head of Somerset LPC and has been a part of the Somerset Collaborate community since the very beginning. During his presentation at Primary Care and Public Health earlier this month, he highlighted the many ways in which bottom-up and at-scale collaboration is helping to bring different disciplines together, improve working relationships and ultimately enhance patient care. To learn more and view Michael’s presentation from the day, please click here.